This was my first try on stinky tofu. Most people who tried it before would suggest that it smells bad but tastes ok (or good), which was quite true. 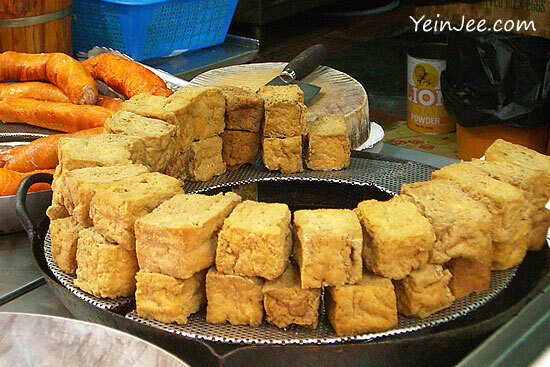 The deep-fried tofu was a bit too salty, but the texture was nice… crunchy on the outside and spongy in the inside. I kinda liked it actually. 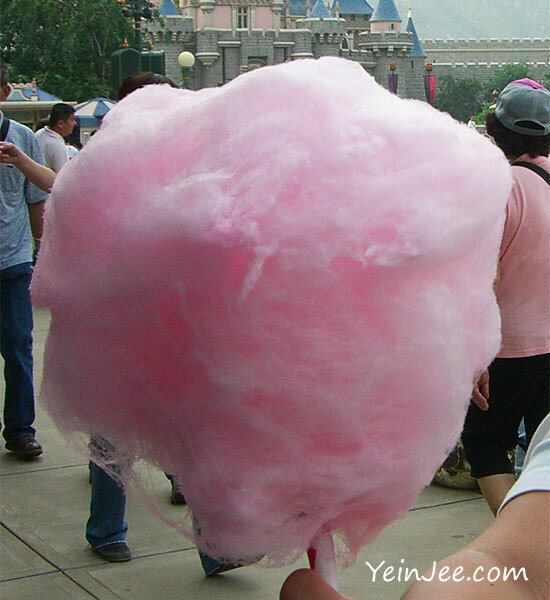 I am not a fan of sweet stuff, but it’s always fun seeing the candy vendors making the fluffy candy floss… brought back childhood memories. 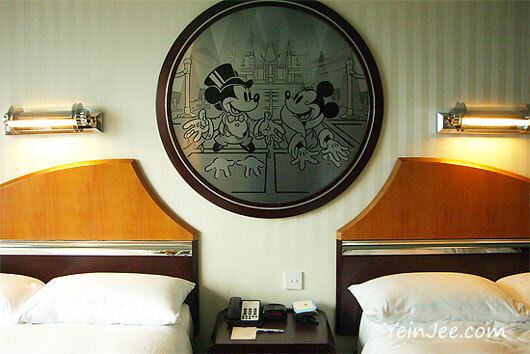 Our visit at Hong Kong Disneyland. It happened to be Halloween season, and the resort had featured plenty of Halloween settings alongside its “traditional” stuff. 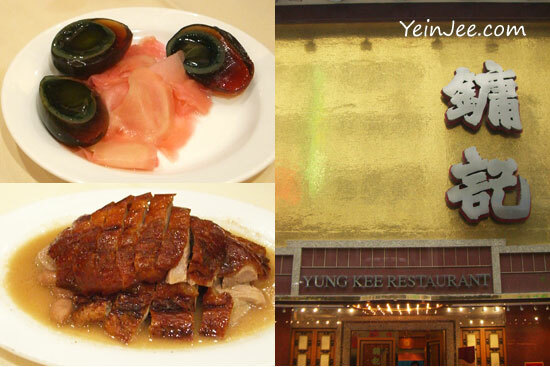 Yung Kee (鏞記) is one of the most famous restaurants in Hong Kong. 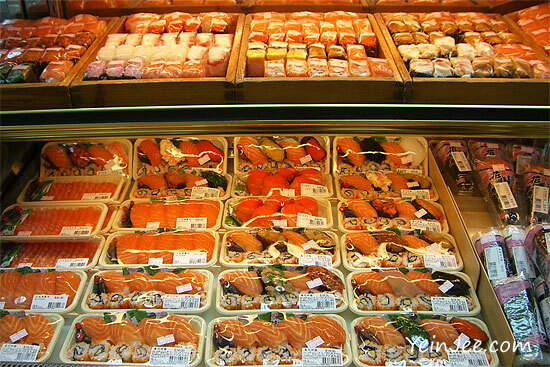 Founded in 1942, the restaurant in the Central District is famed for its century eggs, roast goose, barbecue pork, and perhaps for the expensive price as well. The Flying Frenchman is a sculpture created by French sculptor César Baldaccini. 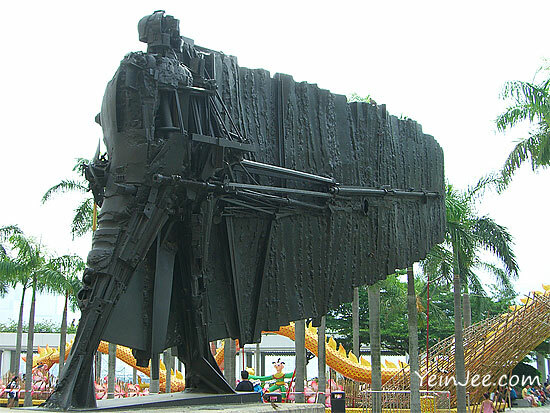 The monument is located at Hong Kong Cultural Centre in Tsim Sha Tsui. It was donated by the Cartier Foundation to Hong Kong in April 1992. 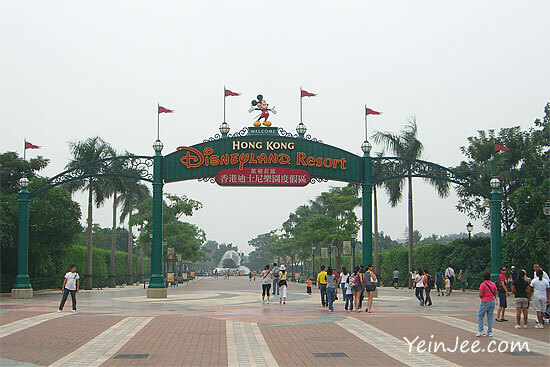 Avenue of Stars (星光大道) is located along the Victoria Harbour waterfront. 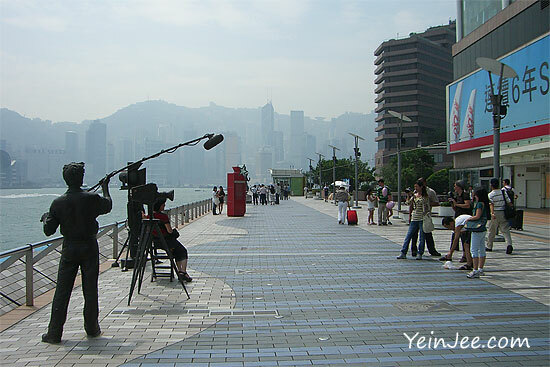 The avenue is Hong Kong version of Hollywood Walk of Fame, honouring celebrities that have contributed to Chinese film industry over the years.